It's a beautiful day in downtown Exeter, New Hampshire -- a great day for a historic walk! 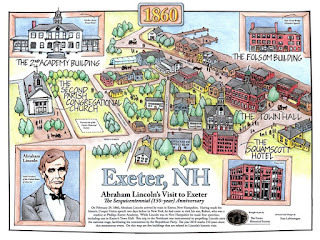 As many of you know, this year marks the sesquicentennial (150th) anniversary of Abraham Lincoln's visit to Exeter. 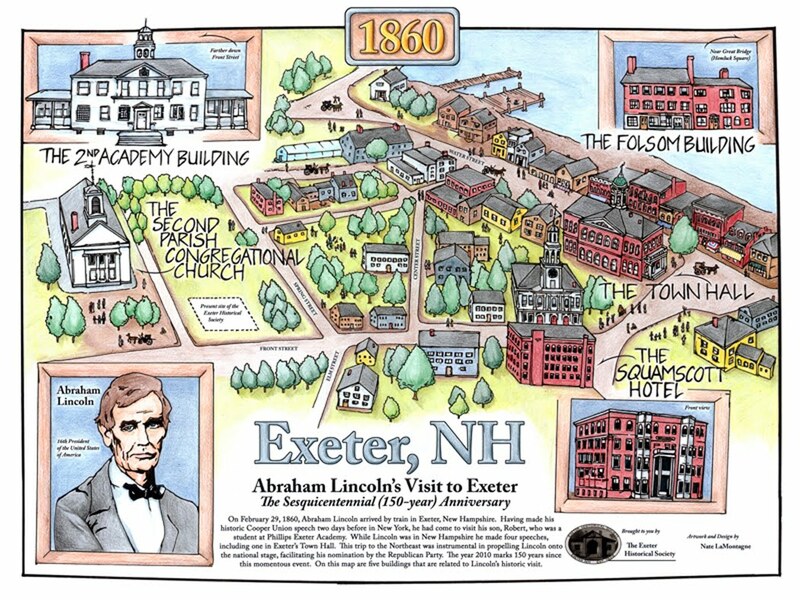 In honor of this occasion, the Exeter Historical Society created The Abraham Lincoln Walking Tour, which highlights key sites in the town relating to Lincoln's 1860 visit. 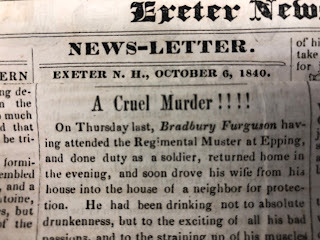 The walking tour is available to download on our Lincoln online resource center, or you can pick up the printed version at the historical society (47 Front Street, Exeter) or at the Exeter Area Chamber of Commerce (24 Front Street, Suite 101, Exeter). 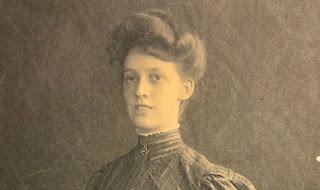 This publication was made possible by a grant of the New Hampshire Humanities Council. It was written by Deborah Kanner and Barbara Rimkunas, and designed by Nate LaMontagne.